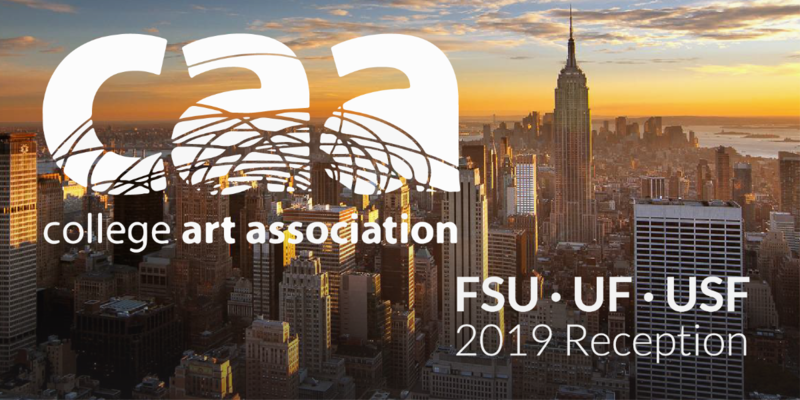 The FSU College of Fine Arts is excited to announce its Alumni & Friends Reception in New York City. Please join us for this opportunity to appreciate the success, art, and company of colleagues and fellow artists. We want to learn what you’ve been up to since your time in Tallahassee! The event will be held in conjunction with the College Arts Association Annual Conference and co-hosted by the University of Florida and the University of South Florida. Events and Outreach Coordinator at dsterneman@fsu.edu or via the RSVP form below.